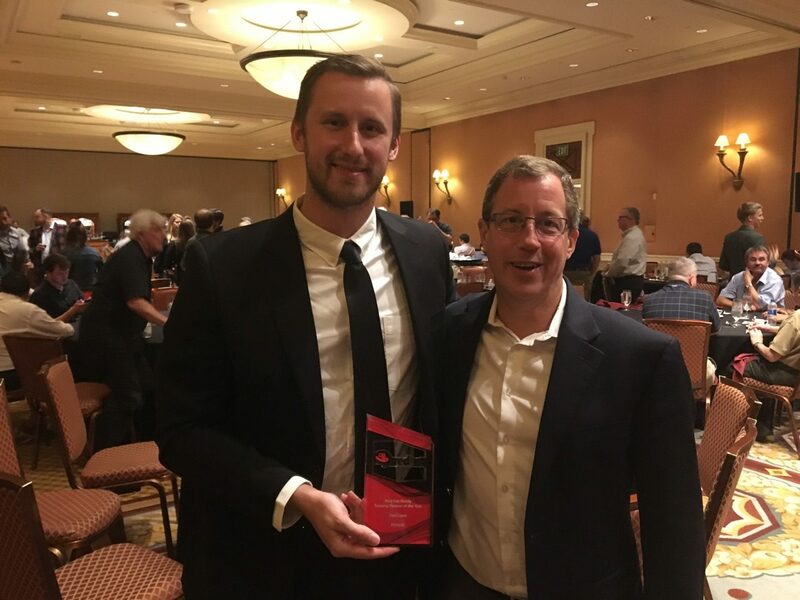 Morrisville, NC — September 14, 2018 — Fast Lane recently attended Red Hat's annual North American Training Partner Conference, where Red Hat announced that the company had received Red Hat's "2018 Red Hat Ready Training Partner of the Year" award. Cementing what has been a strong and thriving partnership spanning several years, Fast Lane was honored to have members on hand to accept the award. 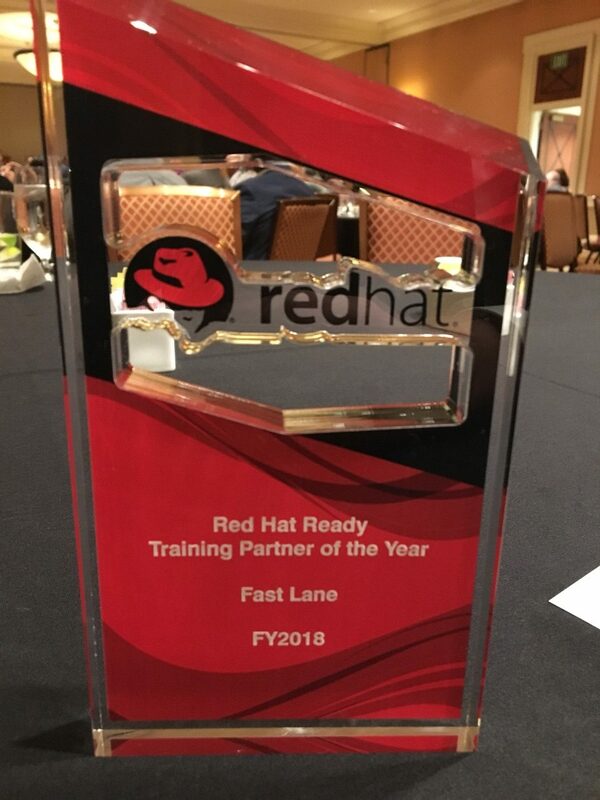 Fast Lane was recognized for providing outstanding Red Hat training and certification options, as well as insight into emerging advancements such as Ansible and OpenStack. Fast Lane also provides their students with access to various Red Hat technologies through multiple training modalities and exclusive content and resources. As a Red Hat Alliance Training Partner, we aim to assist customers in getting the most out of their Red Hat investments to help solve increasingly complex business issues through technical training and certification exams. Fast Lane provides reliable guidance to assist customers in making sound technology training decisions by offering technical training on Red Hat operating systems, middleware, cloud, and virtualization. Fast Lane is a global organization specializing in high-end technology and business training and consulting. Fast Lane offers complete, authorized training solutions for leading technology vendors, including Red Hat, Cisco, Microsoft, NetApp, VMware and other major technology providers. In addition to those vendor’s standard curricula, Fast Lane also develops advanced technology, sales and business transformation curricula. Fast Lane’s vendor-independent consulting services solve a wide range of issues from conducting preliminary analyses and assessments, to designing future-focused IT solutions.